Having grown up in South Florida, I have gone through more than 45 Hurricane seasons. I prepared for my first potential hit with Hurricane David in 1979. Thankfully, he turned away from the coast sometime in the middle of the night. Today, with many hurricane preparations under my belt and many, many decades living in a Hurricane prone area, I can say that preparation, not panic, is crucial. Some of my personal preparations were being the host of many a Hurricane Party where family and friends, who lived in evacuation zones, brought food and supplies. Hurricane parties are common in South Florida. They served more as a distraction for our children and, probably for the adults too. 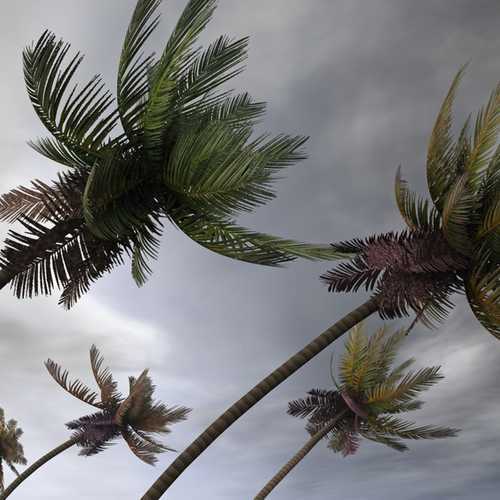 Hurricanes, or the potential for a direct hit, are frightening. The 24-hour broadcasts do very little to help keep anxiety at bay. After Hurricane Andrew in 1992 and when Hurricane Wilma in 2005 hit South Florida, I became, like most that live down here, proficient in a whole new language. Steering winds, cone of uncertainty, El Nino, storm surge, wind shear, wind gusts to name a few. But like most Floridians, when enough time passes with no major Hurricanes, we become complacent about being prepared. For those who have students who are from out of state, the first mention of a potential storm or hurricane and the unknown sends parents into a justifiable panic. When the news about a potential storm starts dominating the airwaves (well at least in Florida they do, but they also make national news) well in advance, parents concerns go into overdrive. The level of panic for in-state residents is equivalent to the category storm being forecast. Floridians seem to look at Cat 1’s with an almost indifference; yet the mere mention of a Cat 3 or higher, and well, nerves are frazzled, palms start sweating and everyone goes into overdrive preparations. Add the fact that we are not with our kids with a looming and threatening storm, and well, an emotional storm (pun intended) starts brewing. It was just a few years ago that a Hurricane was threatening much of the state. University officials went into emergency planning mode, even canceling the UF vs LSU game. And while many questioned whether that decision was necessary, it was the decision to put the safety of people first. Hurricane Season officially begins June 1st and ends on December 1st. Florida gets rainy weather, be it a bad rain/thunderstorm, tropical storm or hurricane, and having certain supplies, is recommended. That would include a flashlight and batteries, bottled water and some nonperishable foods to get through a minimal three days. Make sure computers and phones are fully charged and backed up. If your student has a vehicle that operates on gasoline, they should fill up. Waiting for the day before a potential storm is due to hit is not advisable as the lines are very long and some gas stations run out of fuel. They should also set the emergency brakes. ATM’s do not operate when there are electrical outages so if a potential storm is approaching; make sure they take out cash in advance. Have a battery operated radio (and batteries for said radio)? These can be purchased for $10 or less. After losing power, we had everyone turn off their cell phones to conserve its battery life except for one and continued that rotation until all power had been used up. Having a radio allowed us to listen to emergency alerts (tornado warnings in the area) without using up our phones to hear this information. Have a battery operated fan (and batteries for said fan). For the days that follow without power, it gets awfully hot inside the house. The fan gave us at least some relief. When Hurricane Matthew caused concern for Gainesville last year, even as a person who has lived in Florida for well over 40 years, I advised my daughter to get a landline telephone (think the corded ones) as those will often work when electricity is down and cell phone service is interrupted. That is because the power to the phone comes from the phone lines from the power companies which have battery backup and backup generators that can continue for over a week during a power outage. Many of the phone lines are underground, preventing them from being damaged during a storm. Campus housing is designated shelters for campus residents. They use other campus facilities on an as-needed basis should off-campus students and emergency staff need it. The university takes every precaution to ensure the safety of their students including keeping them informed. If a storm is approaching Gainesville, do not advise your student to get on the road and leave if it is the day before or day of the storm. Gainesville will issue evacuation orders if deemed necessary but clogging up roads is dangerous to your student and could leave them stranded at the worst possible time. Should your student (or you) have other concerns, they should contact umatter@ufl.edu. None of us can predict the path of a storm or its potential damage and while traditionally, towns and cities centrally located in Florida do not take a direct hit (remember, these storms are coming off the Atlantic or the Gulf), the damage they can cause can be felt quite a distance away, depending on the size of the storm.